Failure to correctly transcribe medication orders: “This failure resulted in R1 receiving a larger dose (200mg) of a pain medication over a period of four days and this failure also resulted in the resident being sent to the hospital due to a change in mental status. Nursing notes from 6/10/09 state that R1’s daughter alerted the nurse at 3pm that the resident had an increase in lower extremity swelling and a “flat affect.” 3:30pm: resident is “cool & clammy” and has increased lethargy. 4pm: “Pale skin, slightly cool to touch. Resident oriented to self and place. Resident appears slow to answer questions. Daughter states resident is not comprehending; states “this is not my mom.” The physician was notified and the resident was sent out via 911 at 4:50pm.E3 was not able to be interviewed during the survey due to vacation leave. The statements by E3 on the medication incident report state: “60mg [MEDICATION NAME] 0.333 tabs BID order was transcribed as [MEDICATION NAME] 60mg 1 tab BID. I did not have the orders endorsed by a second nurse. Residents LOC (level of consciousness) changed upon assessment and she was sent to hospital where she was monitored for too much [MEDICATION NAME] in her system”. 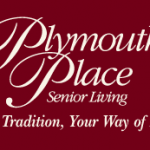 Do you have any issues or problems with Plymouth Place Health center or any nursing home in Illinois? Or are you in need of legal advice from an experienced nursing home attorney? If YES, do not hesitate to give us a call (888) 424-5757 today for a free consultation on your suspicions.